Ribbon: Orange with blue edge stripes. 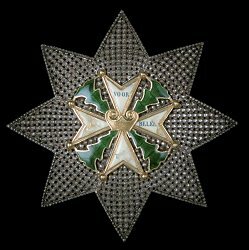 Awarded: To Dutch soldiers (and exceptionally foreigners) for outstanding deeds of bravery or leadership on the battlefield. Grades: 4 (Grand Cross, Commander, Knight 3rd Class, and Knight 4th Class).